Listen to the haunting sound of bagpipes. Watch strong men toss cabers the size of telephone poles. Dance to Celtic rock and folk music. Sip whiskey at the tasting tents. Learn about clans, tartans and Scottish culture. Enjoy Irish and Scottish dance. Experience all this and more at the Longs Peak Scottish-Irish Highland Festival held each year the weekend after Labor Day. This years event will take at the Estes Park Fairgrounds and Event Center, and will take place from September 6-9, 2018. In 1976, James Durward suggested holding a Scottish-Celtic festival to extend Estes Park’s summer season. Today, the festival is one of the largest in the country. One of the highlights of the weekend is the free parade through downtown Estes Park on Saturday morning. Beginning at 9:30 am, clans in tartan, pipe bands, Dogs of the British Isles, and brass military bands give parade goers a taste of what to expect at the festival grounds. Each evening visiting guest bands and groups gather at the fairgrounds to perform evening tattoos, a traditional parade ground concert of military bands. 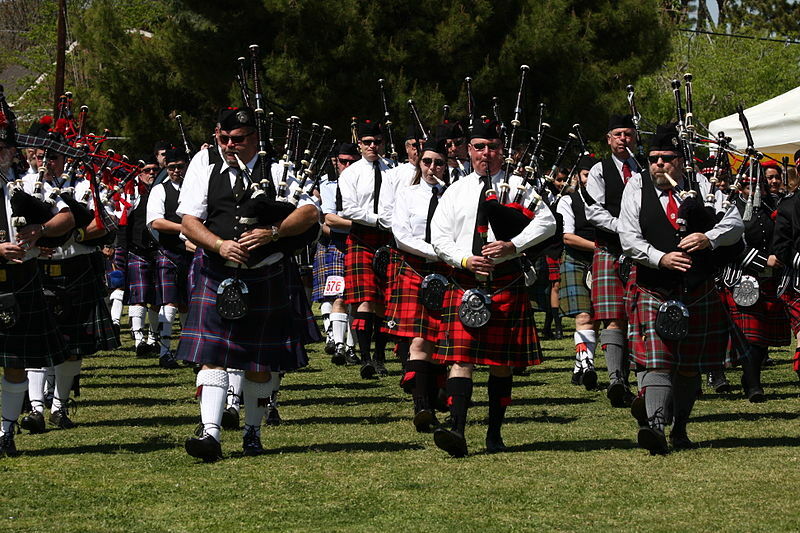 Scheduled to compete this year are the Scottishpower Pipe Band, US Army 1ID Commanding General’s Mounted Color Guard, 1st Brigade Band, Northern Colorado Caledonian Pipe Band, 4th Infantry Band and the Royal Bermuda Regiment Band. Stop by the competition field for hammer throws, putting the stone and caber throwing contests, where mere men toss a 19-foot, 7-inch, 140-pound caber end over end. The clatter of heavy armor draws spectators to the jousting competitions. Each morning at 10 a.m. watch Dogs of the British Isles compete in the herding test, the terrier races and the agility drills on the obstacle course. During the day walk through the white tents on the festival grounds to find Scottish and Irish vendors selling kilts, clothing, jewelry and home décor. This is also where clans and societies gather and display their histories. Thirsty? Stop by the tasting tents and enjoy a sip of whiskey. Watch the Highland Fling and the Sword Dance dating from the 11th and 12th century. A special treat is the Irish Fies Dance, where dancers hold their upper body rigid during the dancing performance. A folk concert on Friday night features Seamus Kennedy, RUNA, Ed Miller and Outside Track. At the performance tent throughout the weekend enjoy music by the band Albannach, which offers a blend of rhythmic drumming, piping and vocals and the Angry Brians, the self-proclaimed “vagabond scholars of malcontent.” Drops of Green is a lively four piece folk and ballad group. During the festival the streets of Estes Park are crowded with people wearing kilts. To welcome the festival goers, many Estes Park businesses feature live Celtic music and whiskey tastings. For more information and to order tickets, call (970) 586-6308 or go online at www.scotfest.com.